With the sound deadener installed, it was time to start laying down the carpet. 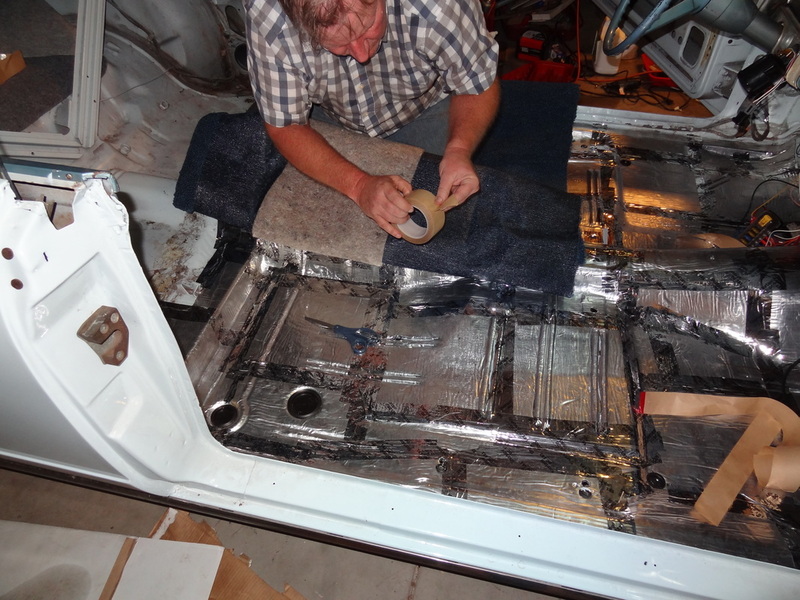 Now this was where we were finally able to start making use of some of the parts the previous owner had bought and given to use with the car. 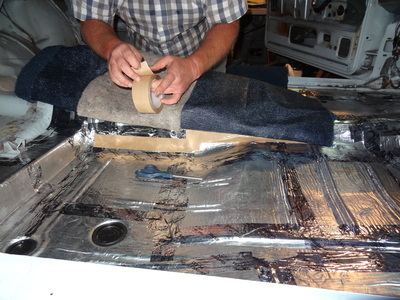 The carpet is Trim Parts brand molded carpet for '63-'66 Chrylser A-Body cars with automatic transmissions. It is 80/20 Rayon standard loop in Sky Blue. It came in three sections. 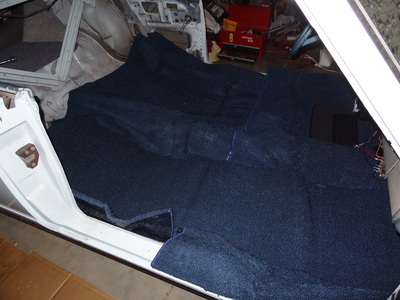 One section covers the rear passenger foot-well with enough material to go up under the rear bench seat partially and extend forward under the front seats partially. 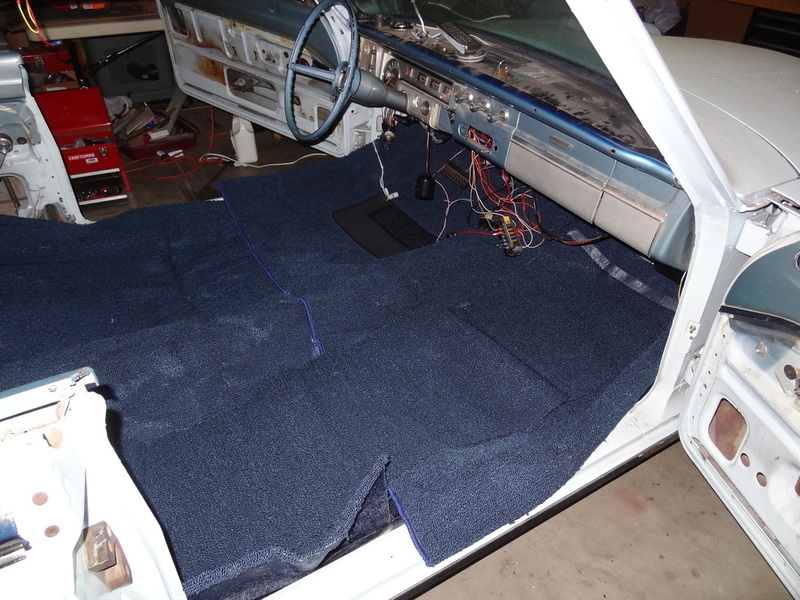 The second section covers the front foot-well as well as covering part of the firewall under the pedals and overlapping on top of the rear section of carpet. The third section is this odd little strip of carpet about 18 inches wide and 6 feet long. We aren't entirely sure what this is for, perhaps for door panels? Anyway, the first thing I did was un-box the carpet and lay it out inside the car about where it will be installed. I left it for a couple days so the carpet had time to relax and (hopefully) regain its "molded" shape. 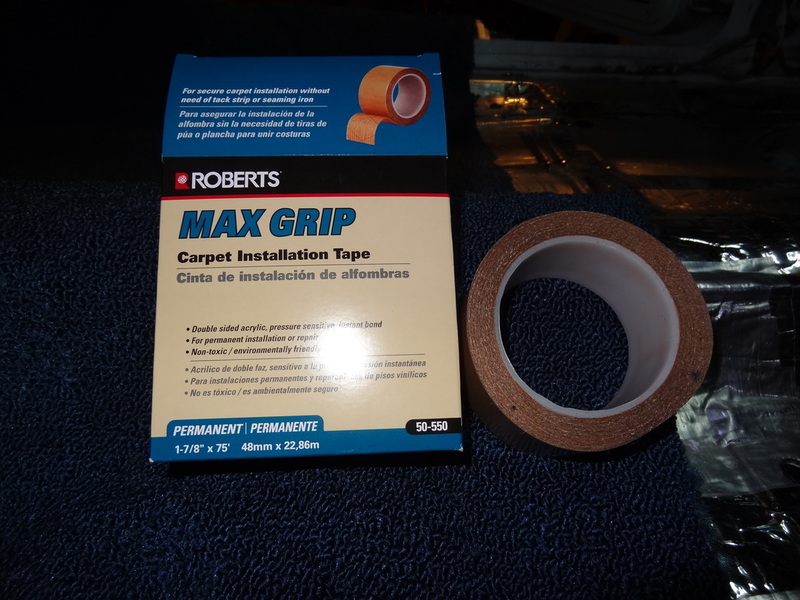 To affix the carpet to the sound deadener on the floor, we got a roll of this carpet adhesive tape from Home Depot. This is pretty easy stuff to use, it acts just like a normal roll of tape: measure out, cut to length stick to surface. 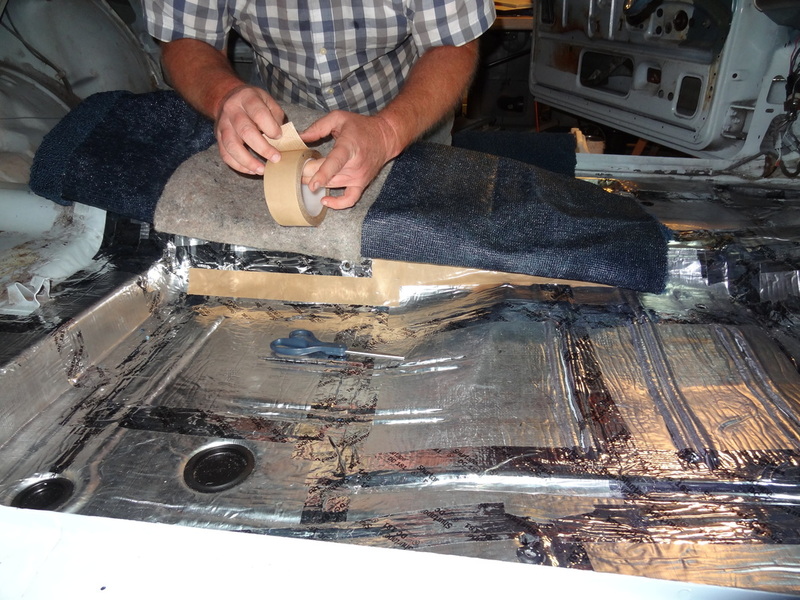 The difference is that the brown back paper peels off of the adhesive once it has been applied to the first mating surface. 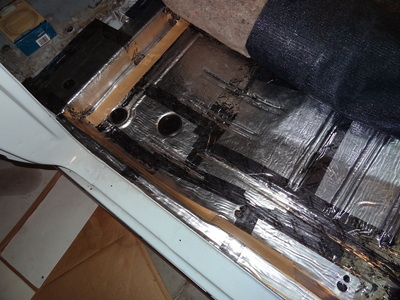 In our case, we started by applying tape strategically to sections of the floor pan, keeping in mind that we didn't need to "go crazy" applying it every where as bolted furniture, like seats and safety belt anchors, would help hold the carpet in place later.